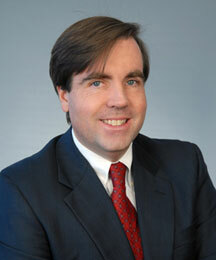 THOMAS J. WALSH, JR. is a principal of Brody Wilkinson and a member of the firm’s Business and Real Estate Groups. His practice is focused primarily in the areas of general corporate matters, commercial transactions, financing and commercial real estate. Mr. Walsh counsels clients – from entrepreneurial start-up enterprises to larger privately held companies – through each phase of their growth serving as primary outside counsel. He advises on issues such as the ideal form of organization, ownership and buy-sell agreements, critical contracts with employees and third parties, debt and equity financing, and dispute resolution. Beyond the start-up phase, Mr. Walsh also advises on business expansion opportunities, such as mergers and acquisitions, marketing and licensing agreements, private equity and venture capital financing and joint ventures. He assists clients with the business and legal aspects of negotiating transactions, enhancing business value and business succession planning. Mr. Walsh is a Martindale-Hubbell AV-rated attorney and was selected as a “Connecticut Super Lawyer” and “New England Super Lawyer” which are based on peer-review surveys. He is actively involved in the American Bar Association’s Business Law Section and is chairman of its Middle Market and Small Business Committee and a member of its Commercial Financial Services Committee. He serves on the Executive Committee of the Business Law Section of the Connecticut Bar Association. Prior to joining Brody Wilkinson, Mr. Walsh was a partner at Marsh, Day & Calhoun. Mr. Walsh is active in a wide variety of civic endeavors and served as town attorney for the Town of Fairfield early in his career. He currently serves as President of the Fairfield Museum and History Center. He is a member of Fairfield Rotary Club and a recipient of a Paul Harris Fellow award in recognition of his service to this organization.